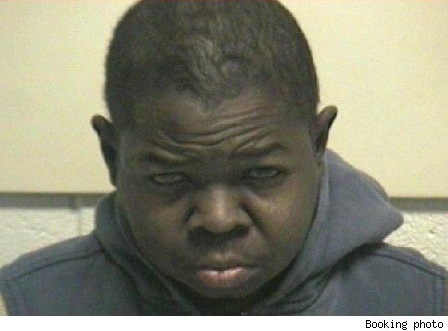 In what is by far my favorite mugshot yet, Gary Coleman, aka your favorite mean lil man, has been arrested in Santaquin, Utah. 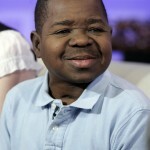 He’s been charged with one count of domestic assault and according to TMZ, Coleman, best known for his role in Diff’rent Strokes, is being held on a misdemeanor charge with a bail of $1725. Coleman, 41, has been no stranger to marital problems since tying the knot with 23 year old Shannon Price. Just last year, Shannon was arrested after a domestic violence incident involving Coleman and in 2008, the couple made an appearance on “Divorce Court”, where Gary admitted to being a bit abusive towards his spouse. There’s been no word on who the victim is in the current case, but judging from previous incidents one can only assume he and his wife got into it… again. Maybe Gary’s big ego got the best of him. You know he’s still pissed about it being featured in an upcoming film. 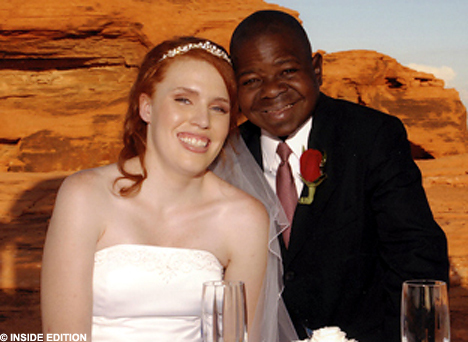 Diff’rent Strokes ~ Gary Coleman’s New Bride!